As far as current supergenius director-composer teams go, the Paul Thomas Anderson/Jonny Greenwood tandem is probably at the top of the list, topping even David Fincher and Trent Reznor. 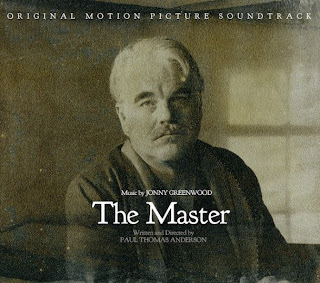 Greenwood and PTA teamed up for one of the last decade’s legit classic films (There Will Be Blood), and I’m willing to bet Anderson’s new film, The Master (which is about NOT ABOUT L. Ron Hubbard and Scientology), will be even better. (I’m all-in on The Master, for reals.) We heard a fragment of Greenwood’s score a while back, and now, in order to drive my anticipation to unmanageable levels, they’re streaming the whole soundtrack on Spotify.